Aliens at the door can only mean trouble in this hilarious rhyming counting book that is out of this world! A little girl is in for an interstellar adventure when the noisy space invaders hijack her house to get home. Can she get back down to Earth - without waking Gran? 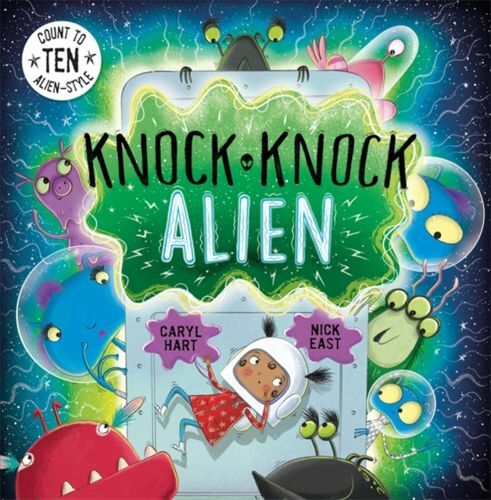 !The follow-up to the hilarious Knock Knock Dinosaur and Knock Knock Pirate - from award-winning author Caryl Hart, creator of Supermarket Zoo, and bestselling illustrator Nick East.